Six persons recently arrested by the police in connection with the kidnapping of three pupils of Babington Macaulay Junior Seminary School, Ikorodu, have been remanded in Prison by the Lagos State Magistrate, Ebute-Metta. The suspects are Emmanuel Arigidi, 37; Gift Pius, 30; Omoni Rufus Fred, 32; Owei Omobo Geofrey, 38; Akanji Seun, 38; and James Henry Segun, 29. Their remand was sequel to an application brought before Chief Magistrate I. O. Adelaja and argued by the lawyer to the state police, Mr. Godwin Osuyi. 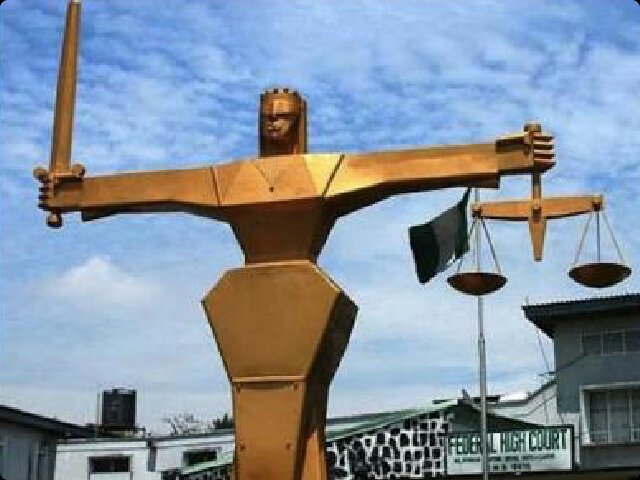 Arguing the remand application, Osuyi said the application was brought pursuant to section 264(1) and (2) of the administration of Criminal Justice of Lagos State, 2011. Osuyi informed the Court that the remand application was to enable the Directorate of Public Prosecution (DPP) to issue an advice on the matter. He urged the court to remand the suspects for the first 30 days pending when the advice will be issued by the DPP. The six suspects, epresented by Mr. Ola Ogunbiyi, did not oppose the police’s remand application. Consequently, the presiding Chief Magistrate, Mrs. Adelaja, ordered that the six suspected kidnappers be remanded in prison custody for the first 30 days, while the police was ordered to duplicate the case file and forward it to the DPP for an advice. In the charge sheet marked D/13/16, attached with the remand application, police alleged that the suspected kidnappers had on February 29, 2016, at about 8p.m, while armed with AK 47, and offensive weapons, invaded Babington Macaulay Junior Seminary School, Ikorodu, and kidnapped and detained three students of the school. The three students allegedly kidnapped by the suspects were Tofunmi Popo-Olaniyan, 15; Olusa Timilelun, 14; and Deborah Akintayo, 14. All girls. The police alleged that the girls were taken away to a creek between Imota and Igbokuta, on February 29, before they were rescued by the police on March 6. The kidnappers were also alleged to have robbed the principal of the school, one Venerable Ola Oluwa Adeyemi, stealing N5.6 million from him. The first suspect, Emmanuel Arigidi, is alleged to have been a member of an armed gang that robbed FCMB at Admiralty Way, Lekki, the sum of N24 million, on March 12, 2015.